Sony 60GB DCR-SR220 and DCR-SR85 hard drive camcorders provide up to 41 hours recording, while the 40GB DCR-SR65, DCR-SR46, and 30GB DCR-SR45 models provide up to 27 hours. We can recover video from deleted or re-formatted / accidental format of the hard disk. 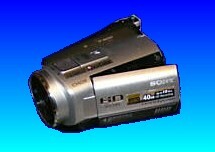 If you need a Sony HDD hard disk new handycam recording video recovery service, then contact our friendly company. Sony 60GB DCR-SR220 and DCR-SR85 hard drive camcorders provide up to 41 hours recording, while the 40GB DCR-SR65, DCR-SR46, and 30GB DCR-SR45 models provide up to 27 hours. We can recover video from deleted or re-formatted / accidental format of the hard disk..